I write because it’s my mission. I still have to deal with my own autistic struggles. But I know my words are heard and I feel blessed to learn how they have helped to liberate my autistic peers from silence, given hope to families and changed the minds of professionals. I value whenever someone takes the time to share because I know that stories can be painful or slow to communicate. This article is from Ireland, written by mother, Adrienne Murphy and her son, Caoimh (pronounced Keev). I share the whole story below and the link to the paper. Together mother and son are on a journey to help others in Ireland. I feel deeply honored to know that my books helped them on their way. Caoimh writes about “stone people” and “right people,” to represent those trapped in Autismland and those representing normalcy. On the side of Autismland there is a familiar resignation to stims. To step into normalcy requires a huge effort. One must be motivated. The experts have a bad tendency to diminish motivation and Autismland has a tendency to seduce with magic distractions. So every escape to communication is a victory, even as it is a struggle. Thank you to Adrienne and Caoimh for fighting on and for sharing my message in Dublin, Ireland. Answer: All four statements – once accepted as fact – have been proven to be incorrect. Statement 4 is the odd-one-out, because it’s still widely believed. But we know it’s false, because more and more non-speaking autistic people are acquiring age-appropriate communication – for the first time in history – through learning to point at letters. The most famous severely autistic non-speaking person is Japan’s Naoki Higashida, who communicated his memoir when he was 13 by pointing at an alphabet board. His book was translated and published in 2013 by KA Yoshida and her husband, the author David Mitchell, as the bestselling The Reason I Jump: One Boy’s Voice from the Silence of Autism. Also leading the charge in this new, from-the-inside-out understanding of severe autism, is 22-year-old non-speaking American, Ido Kedar. 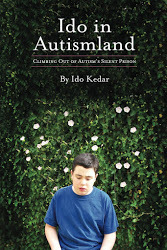 Kedar’s memoir Ido in Autismland: Climbing Out of Autism’s Silent Prison, written between the age of 13 and 15; and his work of fiction from last year, In Two Worlds, the first novel ever published by a severely autistic non-speaking person – are revolutionary. Severe autism is an extreme disability. People with Asperger’s Syndrome and ‘high-functioning’ autism have far greater potential to live independent lives than severely autistic people, who are an entirely different subset on the spectrum. The prevailing theory is that severe autism entails not only intellectual disability (major cognitive impairment and low IQs), but also a language processing disorder. In other words, the widespread view is that severely autistic people can’t understand what’s said to them, let alone read. Entire professions – including psychiatry, psychology, speech and language therapy, and special education – base their interventions on this theory of severe autism. Caoimh is so severely disabled in terms of his care needs, that by the time he turned 14 – when adolescent anxiety tipped him into dangerous self-injury and violence – I had no other choice, as a single parent with another son called Fiach, but to battle publicly with the HSE until they provided residential care for Caoimh. On admission into his residential service, Caoimh underwent yet another psychological assessment (he has had many down the years). Currently, more and more professional question marks are being raised over the accuracy of the tools used to measure IQ in severe autism, with large numbers of psychologists now conceding that we are probably drastically underestimating intelligence. Caoimh’s new psychologist agreed to let him use his letter board to spell out answers to her questions. Caoimh is not able yet to hold his letter board himself. It must be held for him, at a particular angle. Since he can’t cross his midline with his right hand, and since he has difficulty raising his hand high, his board must be held quite low, and over to his right; if it is put directly in front of him, or too high up, he is incapable of accessing the letters on the left or at the top of the board. Despite Caoimh’s need for a person, trained in his letter-pointing method, to hold his letter board for him, the psychologist was easily able to see that it was definitively Caoimh answering the increasingly difficult questions that she put to him, not his assistant. The upshot is that it is now professionally verified that Caoimh can communicate at a highly intelligent, self-aware level. Caoimh’s therapists and social care staff communicate with Caoimh in this way. He fills out his own questionnaires, and describes the nature of his multiple disabilities. The guess work has largely been taken out of his case. At school, Caoimh is now also typing, to show his comprehension of honours-level Junior Cert subjects. Until Caoimh acquired letter-pointing skills at age 12, his communication was limited to expressing basic needs and wants through the use of pictures. He was ‘locked in’. No one knew Caoimh’s true intelligence; he had no way of showing it; and he was kept at remedial level education. In the 18 months previous to Caoimh achieving, at last, a way to communicate all of his thoughts, I taught him, almost daily, to incrementally develop control over his hand and arm movements, until he had mastered the ability to accurately point to letters on a large metal stencil. I didn’t have to teach Caoimh how to spell: he already had advanced literacy and vocabulary, which was all self-taught, since no one had deemed him sufficiently intellectually equipped to be taught to read. In deciding to talk to Caoimh, when he was 10, as though he had the understanding of a non-disabled 10-year-old; and in committing to help him learn the movement control necessary to point at letters, I was going against what professionals had been telling me for years about Caoimh’s type of autism – that it was ‘low-functioning’, and that Caoimh would always have the comprehension of a young toddler. The process of teaching my son to letter point involved me looking beyond the judgments about his observable behaviour, and turning the theories I’d been steeped in, inside out. It involved me acting on my hunches about the intelligence that I’d been catching glimmers of for years in Caoimh – beneath his frantic pacing and vocal droning, his bizarre repetitive movements, his glazed-over eyes, his tantrumming and bolting, his incapacity to consistently follow instructions, to write, brush his teeth, fasten zips and buttons. I got Caoimh on the letter board using the Rapid Prompting Method (RPM) by developer Soma Mukhopadhyay. Tito Mukhopadhyay – Soma’s 30-year-old son – was one of the first severely autistic speech-disabled people to have his high intelligence and spelling-to-communicate ability definitively proven. The name of Tito’s book, How Can I Talk if My Lips Don’t Move? conveys the trap imposed on the severely autistic by the erroneous theory of intellectual disability/language processing disorder. That old theory – imposed from the outside by non-autistic professionals, via their interpretations of severely autistic behaviours – is on the tipping point of being ousted by descriptions of severe autism from the severely autistic. Pointing at letter boards and typing, these trailblazers proclaim that the professionals have got it catastrophically wrong. They insist that average to high intelligence in severe autism is the norm, not the exception; and that the professional misunderstanding of severe autism is having tragic and tortuous consequences. It is consigning millions of individuals to the lifelong, isolating, ‘locked-in’ state of having no means to show their real intelligence. As more and more severely autistic non-speaking people acquire communication, their sensory and neurological differences to ‘neurotypical’ people are becoming clear. For example, synaesthesia seems to be far more prevalent in the severely autistic than the neurotypical population. In this state, the senses merge, allowing highly sensitive autistic individuals to ‘smell’ words, ‘taste’ emotions, and even see what the rest of us can’t – such as the patterns created by the vibrations of music. By ‘stone people’, Caoimh means severely autistic people like himself. By ‘right people’, he means neurotypicals. He’s describing the sensory wonders of the place that Kedar calls Autismland: the world that the severely autistic person must struggle to get at least one foot out of, in order to be able to participate in our world, and so learn to navigate two worlds. Kedar calls the withholding of communication “a crime against humanity”. Let’s hope we heed the clarion call of these previously trapped trailblazers; and do our utmost to liberate severely autistic people into real communication. 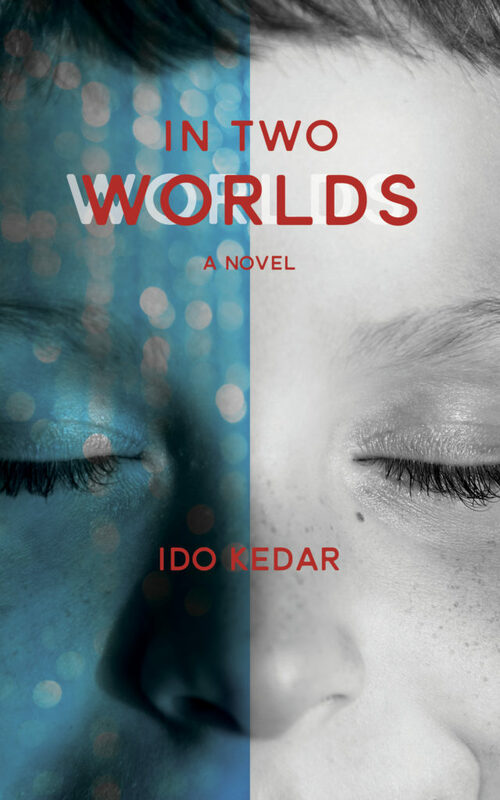 “I’m awestruck by Ido Kedar’s books. Hope presents its bright face on every page. Hope sometimes leaves stone [severely autistic] children, making us despairing. How amazing to find an autistic, chinwagging, non-speaking author! “Stone children rot because meaning rots. Meaning, not sorrow, calms autistic people. Ido’s writing has the power to make real the stone mechanisms that govern us. Ido murmurs mostly about worn-out theories that hold us in prison; in dark nets, in always hoping for our escape. In too many ‘nots’ we fight to have acknowledgement of our intelligence. Hope has movement, to ease repeating answers to my roaring knowledge. “It is a weird illness and symptoms are easily read as poor receptive language but it is poor body control, I am sure. For more information on the campaign by families to help disabled people communicate, see Unitedforcommunicationchoice.org. ▪ Chloe Rothschild, self-advocate, national speaker and Member of the Board, The Arc U.S. I have been listening a lot to Beethoven recently. My passion for different composers goes through phases. I have had a Bach phase, a Gershwin phase, a Prokofiev phase. I love their distinct styles and utter genius and originality. Each one was a profoundly transformative composer who also created incredibly poignant and beautiful music. Because I have synesthesia, I hear and see my music. To be honest, some music is visually beautiful and some is harsh and hideous to me. Beethoven has music that is like a visual poem. His melodies are like flowing waves of lights when they come together perfectly. Neurologists might want to ponder the mystery of Beethoven a bit. For a huge portion of his composing career he was either losing his hearing or was totally deaf. How did his brain do the things it did missing a sense- the essential sense it required? I have been learning a bit about art history recently too. Can you imagine a genius like Van Gogh painting blind, remembering how to paint somehow? My mind cannot comprehend how Beethoven wrote his music, orchestrated it, created mood, emotion and phrasing- and all without hearing it. Even an experienced chef likes to taste their food. The human brain is a mystery. Beethoven wrote some of the most sublime music ever written and he did it as a non-hearing person. Generally that would end a musical career, but he had inner music. He remembered sounds from when he heard. Did he hear them in his head the way we do? Who knows? But we do know he was able to tap into this ability somehow. I tend to turn subjects back to autism. We don’t understand the brain well. By any logic, a deaf man should not be considered one of the world’s greatest composers. But he is. So once again I caution experts to have a little humility and not presume to think they have a clue about how a nonspeaking autistic person perceives and understands. The brain has so many unknowns, and people who by logic shouldn’t have an ability may have it, and sometimes at a profound level. I shouldn’t be processing human speech, according to some. I shouldn’t be writing my thoughts. I shouldn’t even have thoughts. Well, I say, go listen to Beethoven’s Ninth Symphony and imagine writing it deaf and try to be a little humble about the brain’s unknown capacities. This article, from The Atlantic and also Spectrum Magazine, attempts to demonstrate that nonspeaking people with autism may have more intellectual capacity than standardized testing reveals. Thanks to researchers like Yoram Bonneh, (mentioned in the article) maybe more scientists will see that intellectual capacity. My mother and I were interviewed for this story, in addition to a podcast that hasn’t been broadcast yet. The fundamental concept is that not talking does not mean not understanding, despite a bizarre obsession by experts to conflate the two. The challenge for experts is imagination. But let me help. I’m administering an IQ test to you, but your hands are in baseball mitts, your mouth is taped shut and the room distracts with a laser light show. Good luck, and if you don’t do well I’ll assume your IQ is 52. Nonspeaking does not mean non-thinking. That’s my mantra. Nonspeaking may be caused by motor issues. That’s my message. Motor issues do not cause stupidity. That’s my point. Being locked internally because of motor issues is not the same as a language processing problem and should not be treated as such. There is an overwhelming need for professionals to learn about autism from those who live it and can describe it in words. I am referring to the nonspeaking typer who tries to explain autism from the inside out. There are now quite a few of us, and the number is growing. Our messages are always the same. Intact mind/disobeying body. Smart head/dumb body. Thinking mind/non-thinking motor system. Not speaking is not the same as not thinking. In the six years since my first book, Ido in Autismland, was published, only one researcher ever contacted me to learn about autism from me. That’s kind of pathetic, if you think about it. I’d like to help guide their research based on my real symptoms to help improve treatments and theories. A fair skeptic and an inquiring scientific thinker might take the time to meet a proficient typer, to ask questions, to learn about their journey to increasing fluency. But they don’t, for some reason. All this is due to the 3 P’s that preoccupy the skeptics. Proofs, prompts and presumption of competence (or lack thereof). In ASHA’s response to my editorial, they say they need testing proof before they can entertain the possibility that RPM might have any validity. This intrigues me for a couple of reasons. There is a need to validate claims and I think we all recognize that, but there is more than a single way to get data. Observational data and longitudinal studies, including film, would be one way. Another would be well-designed studies that factor in the motor and anxiety issues people with autism describe. Without doing so, there is a significant chance of a poorly designed study producing skewed or incorrect results. Have there been studies and internal reviews in the so-called “evidence-based” autism treatments, such as ABA and speech therapy, as to why a significant number of nonspeaking people struggle to progress using these evidence-based methods? It is too easy an out to say progress doesn’t occur because the person is “low-functioning.” If that’s the case, it doesn’t take ten years of costly treatment to find out. On the other hand, some so-called “failures” of evidence-based treatments go on to become successes, as I did, when the treatment adequately addresses the motor issues impeding performance. In ABA the prompts are constant, duly noted in logbooks. In speech therapy the prompts are constant too. There are prompts in PECS, Adaptive PE, in school, in every moment, in every treatment, every day of an autistic kid’s life. Well, you can either presume I’m incompetent or competent. I prefer the latter. 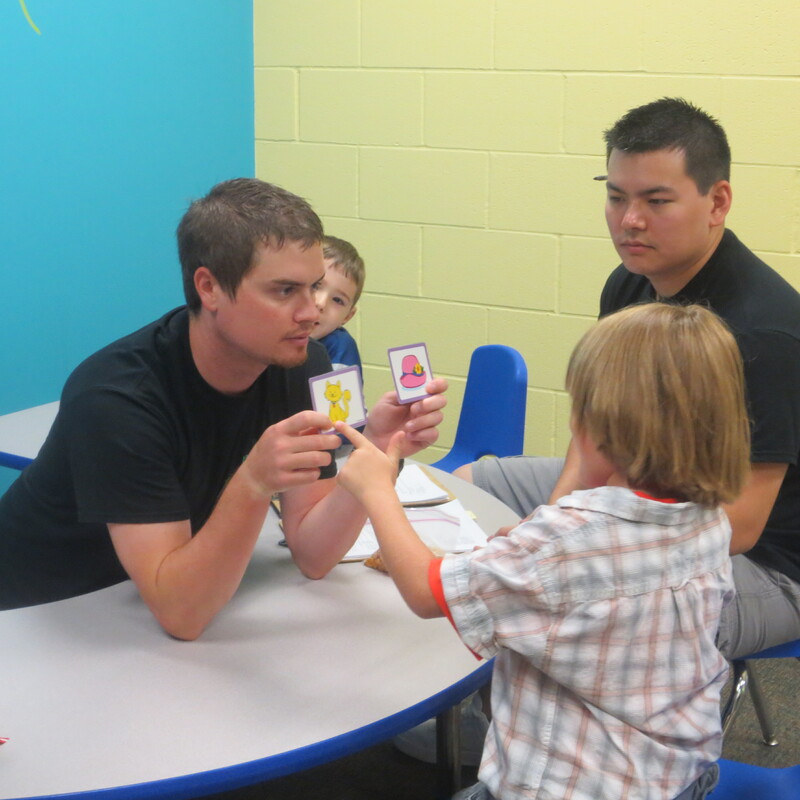 There are two philosophies guiding much of autism theories and education. In one there is no presumption of competence. Rather, the nonspeaking individual is determined to be low-functioning intellectually and not properly processing human speech, thus requiring simplified lessons and constant drilling. This is the prevailing theory. In the other, there is a presumption of competence— that is, an intact mind may be buried behind a messed up motor system caused by neurological factors. Therefore, if the person is taught to move properly to point and spell words, that person may learn to express thoughts and potentially get a more normal education. Many, once thought to be hopeless cases, have proven that, like books, they shouldn’t be judged entirely by their cover. That has been true for me and for many, many others. That is why I wrote my editorial, my blog and books. The professionals who insist they speak for science too often ignore evidence that may intrude on their theories, but facts will out. There are more typers each day, and once someone has a voice, he or she wants to speak out. I am belatedly sharing an interview done with my mom and Vana Thiero on the Autism Live podcast last month regarding “In Two Worlds.” Since I was unable to be there in person, I participated virtually by pre-recording answers into my iPad. The second video has a live reading of Chapter 1, Beach Day, read by performer, Eli Bildner. Many thanks to all involved, and especially to Vana and Eli. I am proud to share that In Two Worlds is a quarter-finalist in Publisher’s Weekly BookLife 2018 Award!